Why Has the NFL Launched an Investigation Over an AR-15 Featured at a Gun Show? More than 700,000 people — that’s how many lives are taken each year thanks to a bite from small and seemingly innocuous animal. 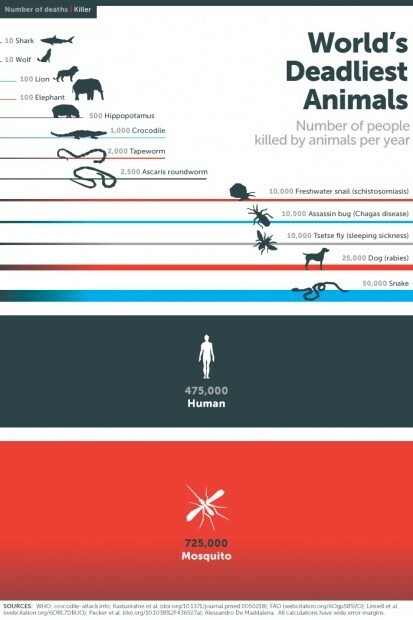 Bill Gates released this powerful infographic on his blog late last week to highlight a campaign against the deadly and debilitating diseases that are carried by mosquitoes.